news Foxtel has more than doubled the quota available on the broadband packages it bundles with telephone and pay TV offerings, with customers now able to receive a terabyte of quota along with a Foxtel subscription TV package and unlimited local and national calls for $130 a month, in plan bundles that appear to beat those offered by Foxtel partner Telstra. The company offers four broadband packages, ranging from $95 to $130 per month. Each comes with Foxtel’s ‘Entertainment pack’, which offers customers 45 major TV channels as well as the company’s iQ1 set-top box and the Foxtel Go service which allows customers to watch Foxtel on mobile platforms such as the iPad, similar Android tablets or smartphones. 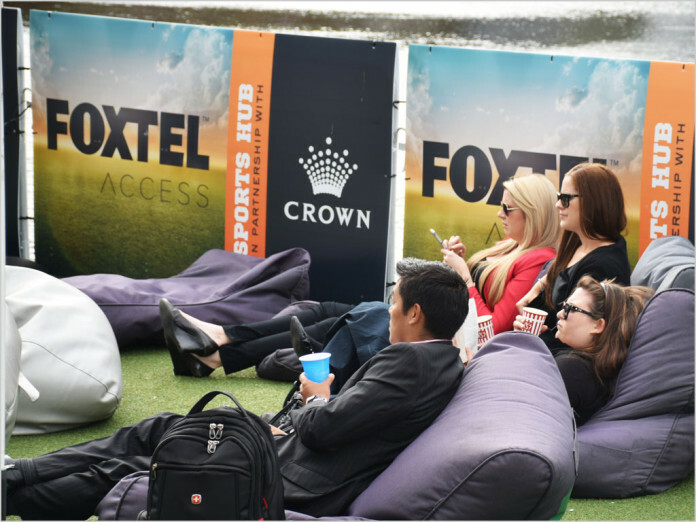 Previously, Foxtel’s packages appeared to include 50GB, 100GB, 200GB and 500GB quotas. However, this week the company issued a statement noting it had bumped the last three packages to 250GB, 500GB and 1TB quota levels. Foxtel content is also un-metered when customers buy broadband from the company, and the company also distributes the ‘Foxtel Hub’, a Wi-Fi modem, along with its plans. The plans appear to be somewhat better than comparable pay TV bundled broadband options sold by Telstra, which also sells bundled Foxtel packages. For example, Telstra also offers a broadband plan with 1TB of quota and Foxtel’s Entertainment pack bundled in. However, the company charges customers $169 for that bundle per month — $39 more than Foxtel. The telco’s 500GB plan comes in at $139 — $29 per month more expensive than the equivalent plan from Foxtel. Foxtel has long planned to offer broadband bundles alongside its pay TV plans. Traditionally the company has partnered with Telstra to do so, as Telstra is a 50 percent joint owner of Foxtel, along with News Corp. However, in February this year Foxtel launched its own broadband plans over the Telstra network. The release this week appears to signal that Foxtel will not be afraid of competing directly with Telstra in the provision of broadband services — despite the fact that Foxtel’s broadband services are actually provided over Telstra’s own network, and despite the fact that Foxtel is 50 percent owned by Telstra. These deals by Foxtel are actually pretty good on paper. I don’t know anyone who’s on a Foxtel broadband subscription, so I don’t know how its network performance is, but I’m sure it’s at least acceptable, given the fact that Foxtel’s broadband will be provided off the back of Telstra’s network. My interpretation of what Foxtel is doing here is that it is preparing for the long-term deployment of the National Broadband Network. Up until this point, Foxtel has been moe or less tied to Telstra, because Foxtel is delivered primarily through Telstra’s HFC cable network. That network is now being sold to the NBN company, meaning that Foxtel most likely believes it needs to shift itself onto a bit of a more independent footing in shifting to providing its own broadband services. I think this is a good thing. By providing its own broadband services, Foxtel can further optimise its growing broadband network for the delivery of video over the NBN platform. It will be interesting to see how Foxtel develops its broadband offerings in future, and if it can further differentiate itself from Telstra. Mine is $125~ ish (A deal with 1TB download, Unlimited Local and National, Speed boost included). My parents would love to have foxtel back, but not until they stop with the 10000x repeats of shows and outdated content. Foxtel’s plans are for ADSL 2+ and NBN only. They don’t provide internet services over the HFC network. Only existing Foxtel customers that add a broadband and phone service to their current package to create a bundle will get unlimited calls to mobiles. New customers signing up do not have mobile calls included in the plan, so you may get a bit of shock with the bill. If you want your bills by paper it will cost an extra $1 per month, and if you don’t set up a direct debit for payment (e.g. pay at Aus Post instead), you will be charged an extra $3 per month. Also if someone in your household has a life threatening illness, Foxtel do not offer priority assistance, only Telstra does. Kinda the running joke let me know when they start leading the industry 1Tb is a joke to be on offer today. Much like the upto 15Gb plans offered over LTE-A/LTE/4g/3G . What happens when we get the 2-way satellites into service there is a lot of Australia still covered via satellites via pay TV services.. What happens when you start having 4/16-4/30 splits to service 4 TV tuners in which both iq1and iq-2 boxes.. I come from the point of view of 2x Xdsl services with a combine total 1.6 terabytes of data between 2 active services which barely covered computer uses nevermind download content via 2 iq2 boxes 4-5 consoles..
Australia as a whole regardless of service you have doesn’t have the capacity to streaming or downloadable service options at 1TB we don’t have the capacity in data to support the services we now require let alone support it over the current fixed wireless frameworks of 15 GB..
We have had capacity within software since 1997 at its earliest conception within a few media players.. Sad to say if we want a streaming service FTTP will have to be a major conduit as the service options as current hardware doesn’t have the capacity past 2 devices.. If you had done your study correctly, does the foxtel bundle include all national mobile phone calls.. No? Because telstras does so maybe thats the difference. If the CDN is close enough to your own asset, and if you reclock fiber up to its gig potential in your core, this is a no brainer: low capex, huge customer retention benefit and little to no real money outflow to others: There is no transit cost. Price and cost are fully decoupled in this network world we’re in: the ROI is paid for, nobody lends on long lead times any more. Fox can afford to do this because it has next to no marginal cost to them. They also believe we’ll use it to fetch fox content for money. Its win-win in their eyes. If we use Netflix, then they still win because they will have a non-transit path to the netflix local servers. Even if you ask for it via a dns bypass you probably get served in country. If you use a VPN you now stand out like a sore thumb, the data models which use packet inspection to tell what you are doing don’t have to decode the dataflow, they work from differential timing analysis of in-out flows, sizes and good heuristic models. Believe me: they know. Telstra sets the market price for local, regional and national flag fall so you don’t need to go back to school on that..
At the moment we live paying the great Australia con for data and that is the fact of the matter whether you access content via a LTE-a, LTE, 4g, satellite, Xdsl, cable or fois connection..
2) PRICES ARE DISGUSTING. People can get unlimited cable for $90, you ghet 1TB for $130! Sorry Foxtel, but anyone with common sense shouldn’t even give you blokes a second look. I’m a foxtel subscriber…and i certainly won’t be.